All you need to know about the Romans. Perfect for homework assignments and project work, so get clicking! Click on the links to explore areas such as leisure, technology and religion! ​BBC - iWonder - Could you cut it as a Roman gladiator? 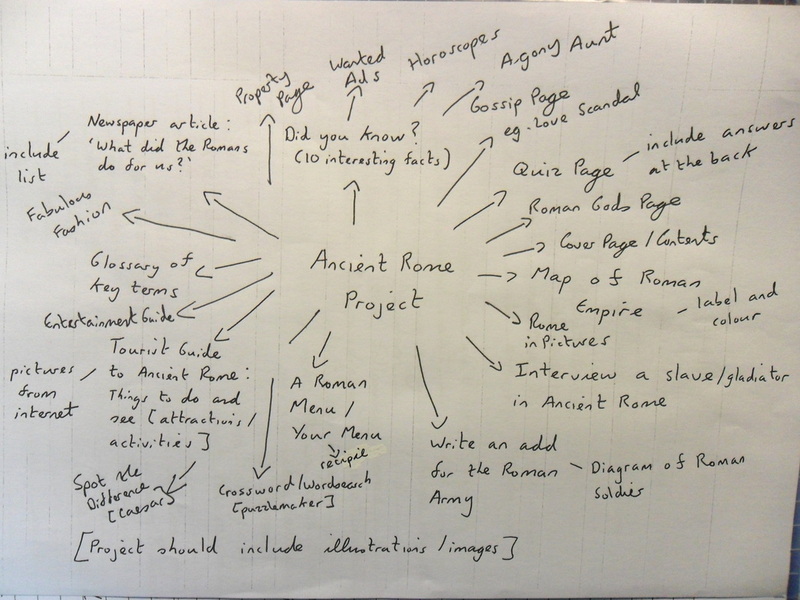 ​can make a note of all the things the Romans are meant to have done for us. 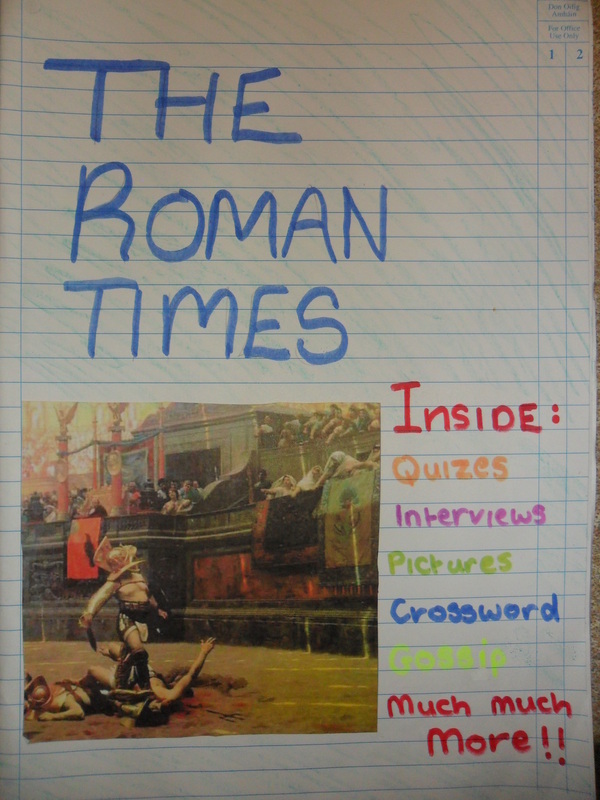 Students must work in groups to create news booklets under the theme 'Roman Times'. Each booklet must have a cover page and a contents page. Content must involve a mixture of text and pictures. Ideas for the booklet may be taken from the spider diagram below. Students are free to generate their own ideas. Detailed instructions on completing the project will be given in class. There will be a time limit for the completion of booklets. Upon completion groups will be given an opportunity to present and share their work.